Following a recent Twitter discussion and requests from readers, I have drawn up a list of theatres and their titling systems. Many theatres have added English titles to their offer. Given that there are more fluent (B2 level and above) English speakers in Europe than native Anglophones, it is perhaps unsurprising that theatres have chosen to add English titles. Whether we like it or not, English is the lingua franca currently, though given the current isolationist policies of the UK and US governments for how much longer that will be the case, who knows. Titles are controversial. Some people love them, others hate them. By now, I rarely use them because I know most of the standard rep and understand most of the major operatic languages. The only time I do is if I’m seeing a work for the first time or if it’s in French and I have a ‘wtf’ moment due to foggy diction. Still, they are very useful and many audience members appreciate and welcome them. I have organized the list as follows – theatre name, titling system (surtitles or seat back), languages available. The list is organized by theatre name. If you’re having trouble finding the theatre you’re interested in, just hit ctrl+f and search by city name in English. Disclaimer. I have only used theatres I have visited or that a reader has kindly informed me of. The situation may have changed. If you would like to add any theatres or notice any errors, please do use the box below and let me know. Badisches Staatstheater, Karlsruhe. Surtitles: German, also usually English. Bayerische Staatsoper, Munich. Surtitles: German, English. Canadian Opera Company, Toronto. Surtitles: English. De Munt – La Monnaie, Brussels. Surtitles: Dutch, French. De Nationale Opera, Amsterdam. Surtitles: Dutch, English. Deutsche Oper, Berlin. Surtitles: German, English. English National Opera, London. Surtitles: English. English Touring Opera, UK touring. Surtitles: English. Festival d’Aix-en-Provence, Aix-en-Provence. Surtitles: French, English. Festspielhaus Baden-Baden, Baden-Baden. Surtitles: German, English. Gran Teatre del Liceu, Barcelona. Surtitles: Catalan. Seat back: Catalan, Castilian, English. Grand Théâtre de Genève, Geneva. Surtitles: French, English. Komische Oper, Berlin. Seat back: German, English, French, Turkish. Kongelige Teater, Copenhagen. Surtitles: Danish. Lietuvas nacionalinis operas ir baleto teatras, Vilnius. Surtitles: Lithuanian, English. Lyric Opera, Chicago. Surtitles: English. Metropolitan Opera, New York City. Seat back, English, Castilian, also German, Italian for selected productions. Northern Ireland Opera, Belfast. No titles. Norske Opera, Oslo. Seatback: Norwegian, English. Opera Australia, Sydney. Surtitles: English. Opéra de Bordeaux, Bordeaux. Surtitles: French. Opéra de Montréal, Montreal. Surtitles: French, English. Opéra de Paris, Paris. Surtitles: French, English. Opéra Royal de Wallonie, Liège. Surtitles: French, Dutch, German. Oper Frankfurt, Frankfurt. Surtitles: German. Oper Köln, Cologne. Surtitles: German. Oper Leipzig, Leipzig. Surtitles: German. Oper Stuttgart, Stuttgart. Surtitles: German. Oper Zürich, Zurich. Surtitles: German, English. Opera Krakowska, Kraków. Surtitles: Polish. Opera Vlaanderen, Antwerp & Ghent. Surtitles: Dutch. Palau de les Arts, València. Seat back: Catalan, Castilian, English, French, Italian, German, Japanese. Royal Conservatoire of Scotland, Glasgow. Surtitles: English. Royal Opera House, London. Surtitles: English. San Francisco Opera, San Francisco. Surtitles: English. Scottish Opera, Scotland touring. Surtitles: English. Semperoper, Dresden. Surtitles: German, English. Staatsoper Hamburg, Hamburg. Surtitles: German, English for selected productions. Staatstheater Nürnberg, Nürnberg. Surtitles: German, English. Teatro alla Scala, Milan. Seat back: Italian, English. Teatro de la Maestranza, Seville. Surtitles: Castilian, English. Teatro la Fenice, Venice. Surtitles: Italian, English. Teatro Real, Madrid. Surtitles: Castilian, English. 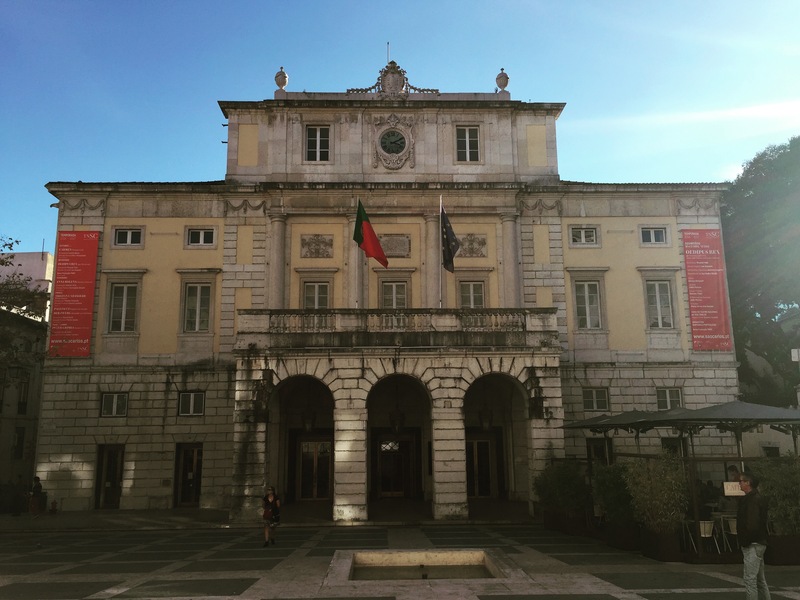 Teatro São Carlos, Lisbon. Surtitles: Portuguese. Théâtre des Champs-Elysées, Paris. Surtitles: French. Theater an der Wien, Vienna. Surtitles: German. Theater Basel, Basel. Surtitles: German, English. Wiener Staatsoper, Vienna. Seat back: German, English. Welsh National Opera, UK touring. Surtitles: English also Welsh in selected theatres. Would you consider doing an article on the best seats from a sound perspective in various Opera Houses. It seems to me that the most expensive seats do not necessarily provide the best aural experience (many people are apparently more interested in the visual aspects of Opera). Thanks for the suggestion. I think it’s a great idea. That said, i think it’s something that I would very much appreciate getting others’ feedback on as I often usually just sit in the same place in a theatre. I’ll definitely take it on board and see what I can do. Any knowledge on Opera Koln? Thanks. I just checked on their website and it’s surtitles, German only. I’ve added it to the list. Scottish Opera. Surtitles in English for all main productions. Royal Conservatoire of Scotland. Surtitles in English. Hey OT, any plans to update this (very useful) page? Staatsoper in Berlin is now doing english surtitles too.